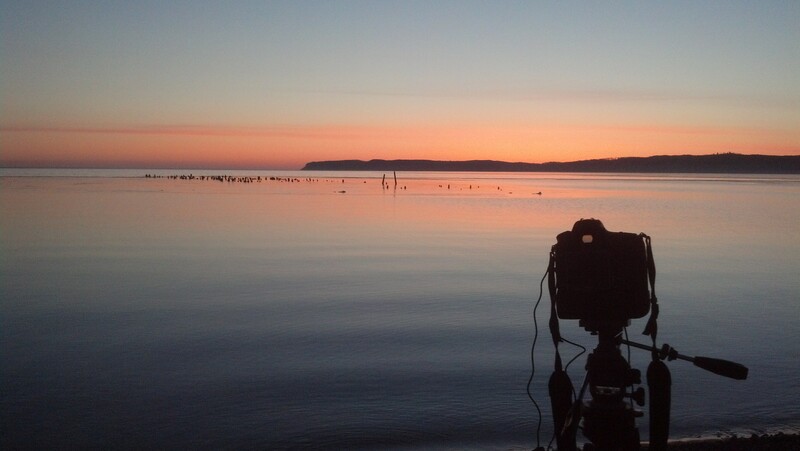 I have been up most of the night in Sleeping Bear Lakeshore. Keep an eye out later in the day for the product of this restless night! Check out the galleries for the images from that night here, or this shot of the bay! Here is a camera phone shot of the sunrise on the Manitue Passage.